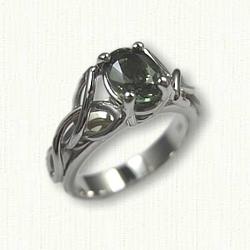 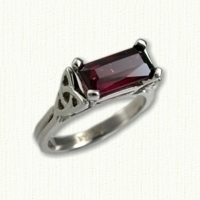 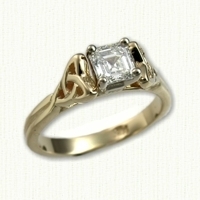 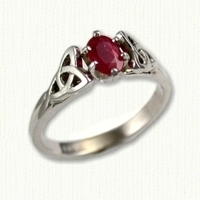 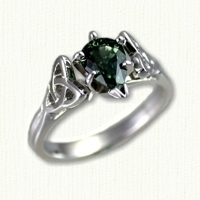 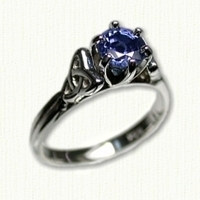 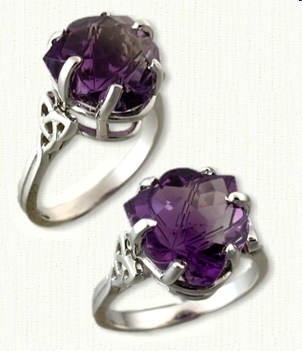 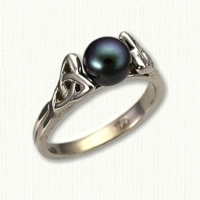 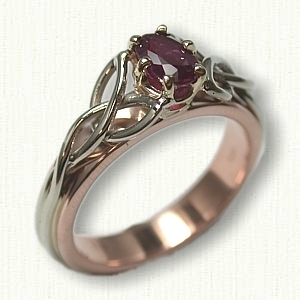 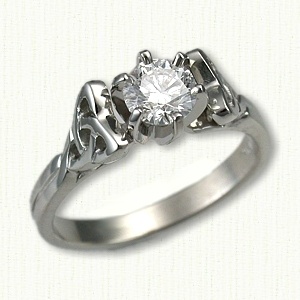 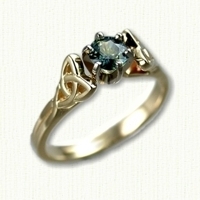 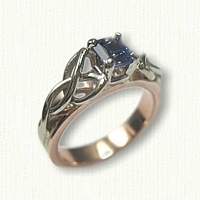 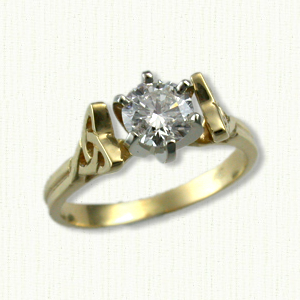 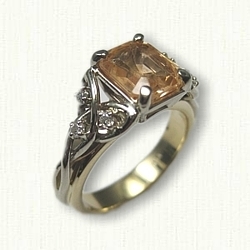 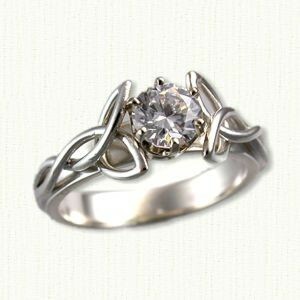 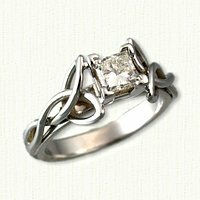 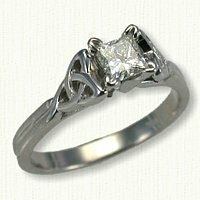 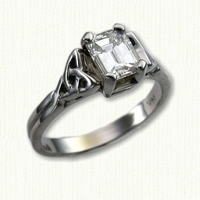 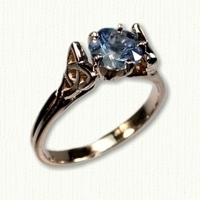 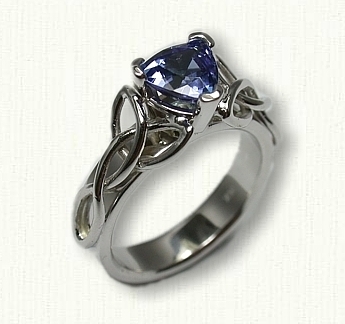 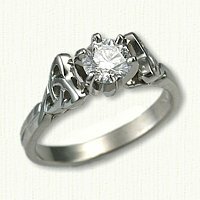 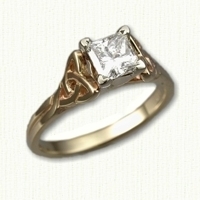 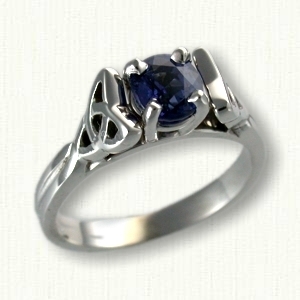 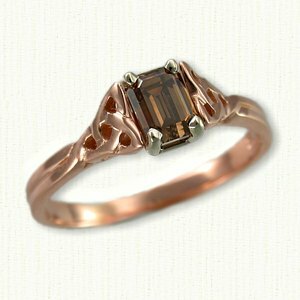 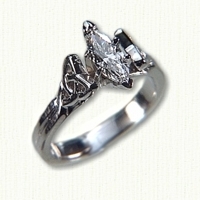 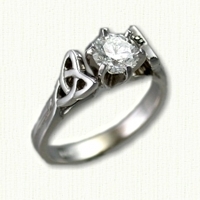 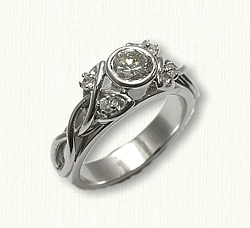 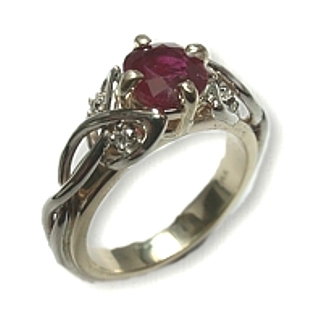 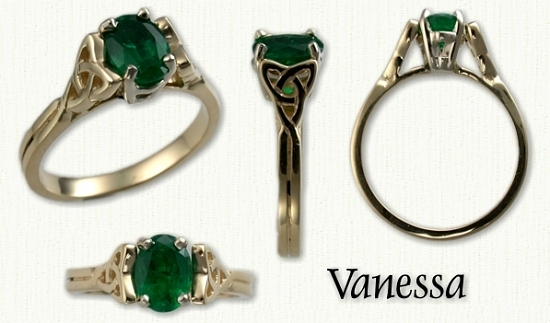 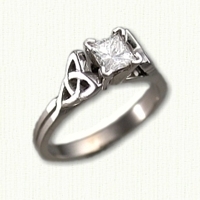 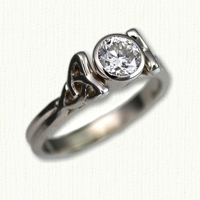 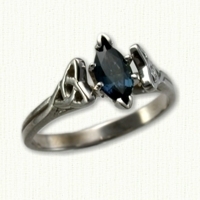 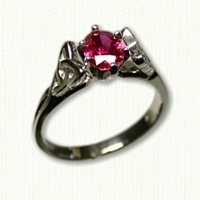 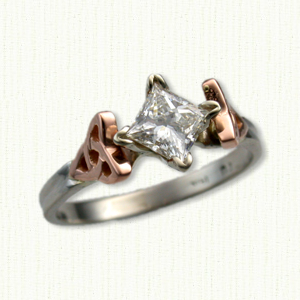 Vanessa Engagement Rings - custom celtic engagement rings w/ gemstones, diamonds @ best prices! 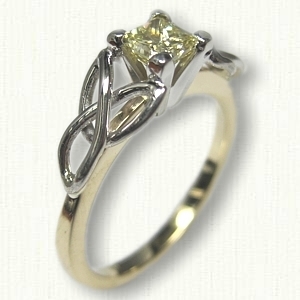 *Price reduced, IF you are purchasing a stone from us that is $1,000 or greater. 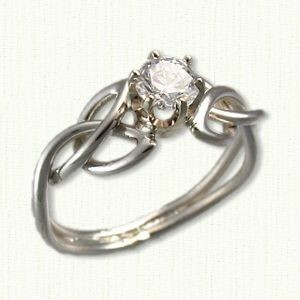 Description: The 'Vanessa' engagement ring is a Narrow Bridged pierced Triangle Knot mounting measuring 6mm near the stone with a 2.5mm shank. 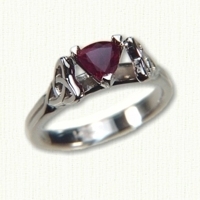 Most any size, shape and color gemstone may be used with this mounting. Available in 14kt, 18kt and platinum ( pricing). Also available with bezel set Round stones (Only round) at an additional fee. 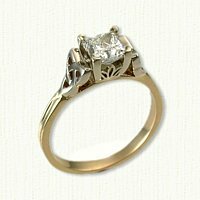 Notes: Recommended stone sizes run from .50ct to 1.0ct. 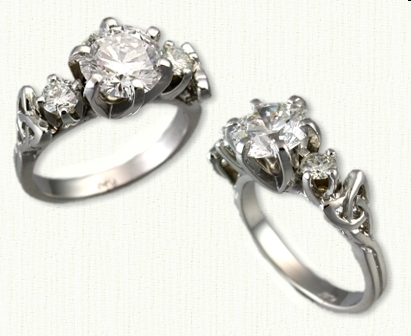 Vanessa is always prong set unless the customer requests Bezel setting when ordering. Matching Triangle Knot Wedding Bands sold separately.